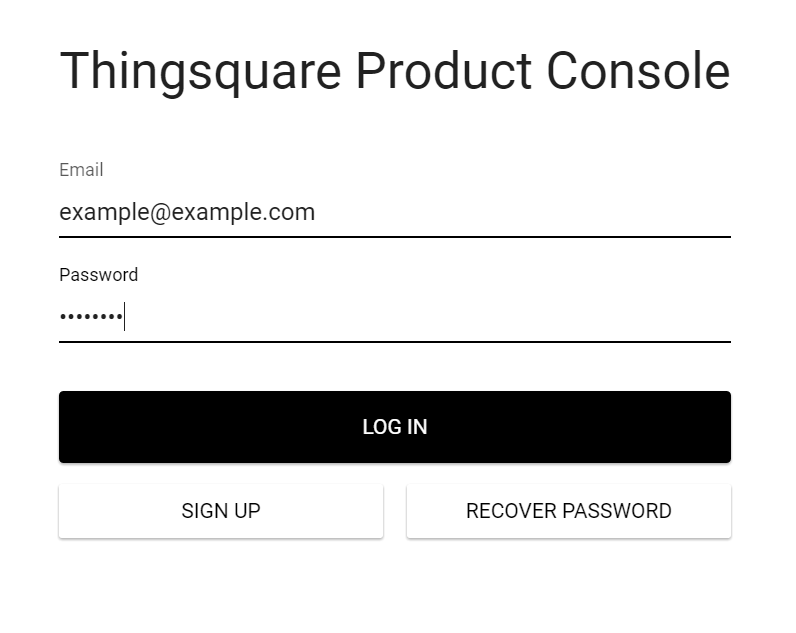 The developer console is the way you as a developer interact with the Thingsquare backend. To access the developer console, go to https://developer.thingsquare.com/. To get started, create a developer account. Enter your details and tap the `Sign Up` button. After successfully signing up and logging in with your new developer account, you will see the product administration console. 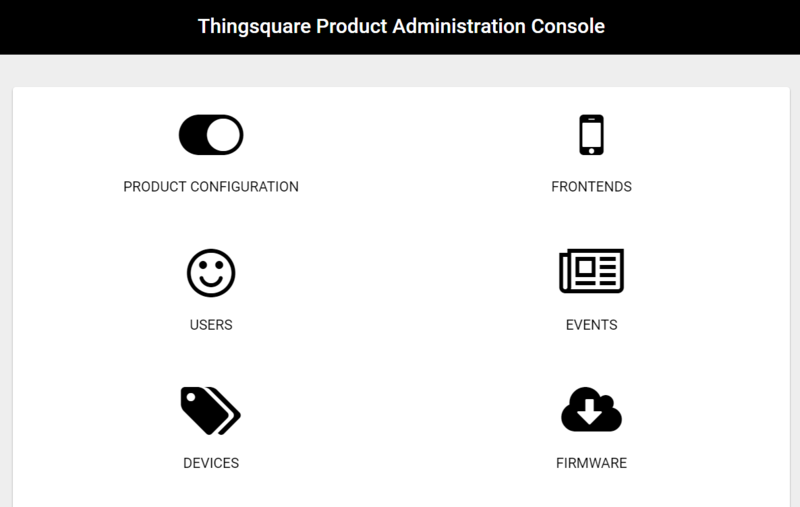 The Thingsquare product administration console. Each product has a set of frontends, users, devices, and firmware images associated with it. 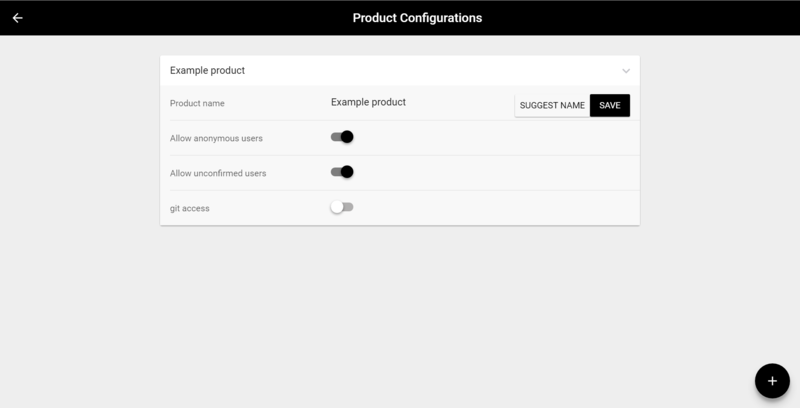 To change the configuration of a product, go to Product Configuration screen. To set up your first product tap the plus button at the lower right corner. You will be asked to name your product. Once your product is created, you can edit its configuration and change its name. A frontend is a way for users to access your product. A product may have several frontends. For example, one frontend may be shown to regular users and another frontend for administrators. To see your frontends, go to the Frontends page. Each frontend has a REST API endpoint as well as a set of HTML5 files associated with it. The REST API endpoint is used with the API and uniquely identifies that the API endpoint belongs to your specific product. The HTML5 files is used to provide a graphical frontend, either through a native smartphone app, a desktop app, or a web interface. To create a new frontend, tap the plus button at the lower right corner of the screen. Each product has a set of users. 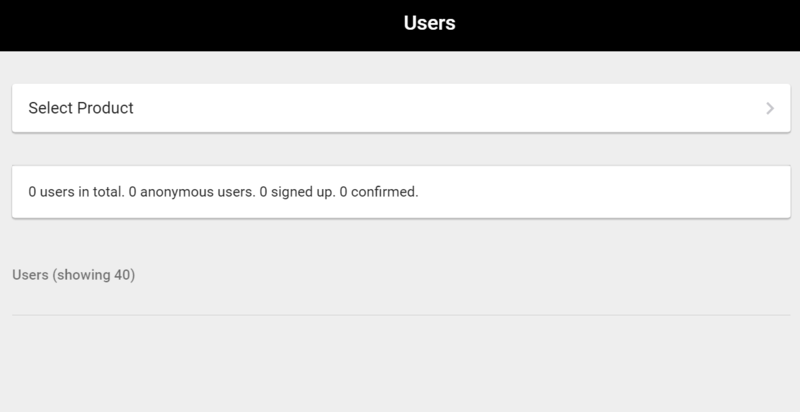 To see and administer your users, go the Users page. With a new product, there will be no users. 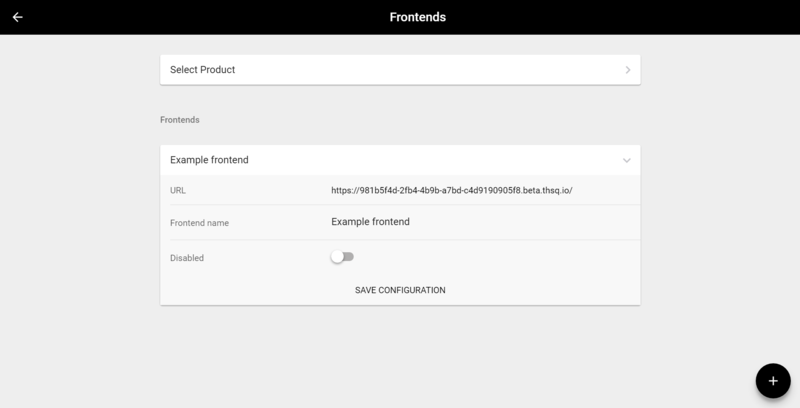 To create users, first create a frontend, then use the frontend's URL as the REST API endpoint and sign up a user with the API. Each product has a number of devices registered to it. 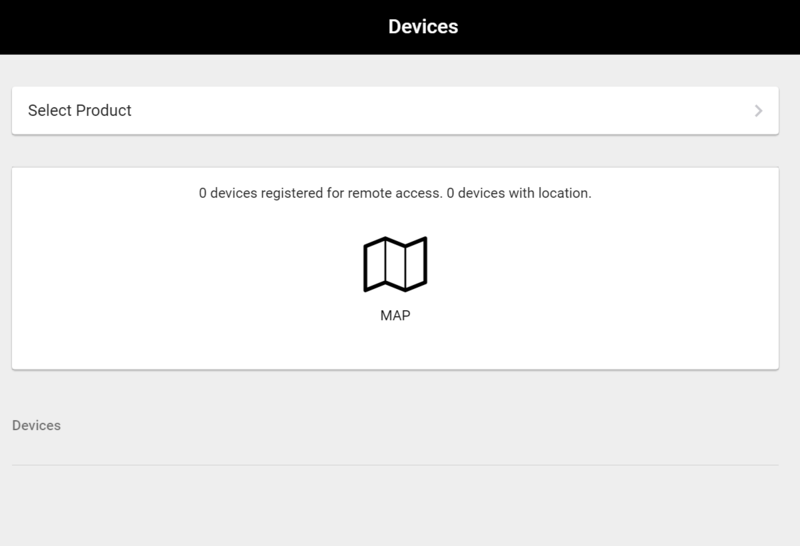 Use the Devices page to inspect those devices. 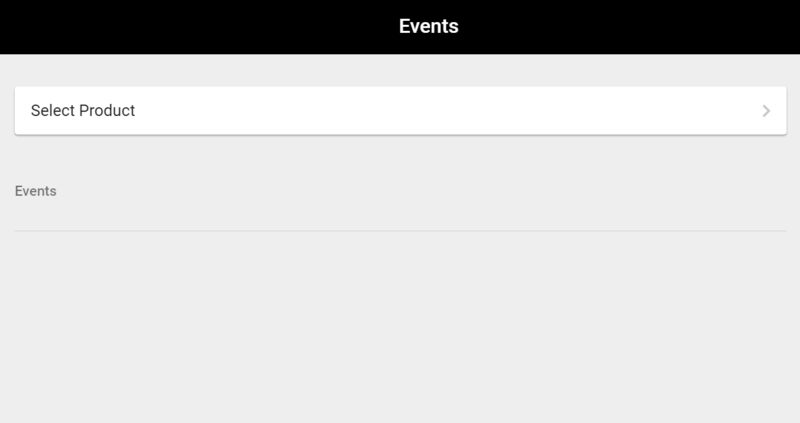 To see events related to your product, users, and devices, go to the Events page. Each product has a database of firmware versions that may be downloaded over-the-air to devices. 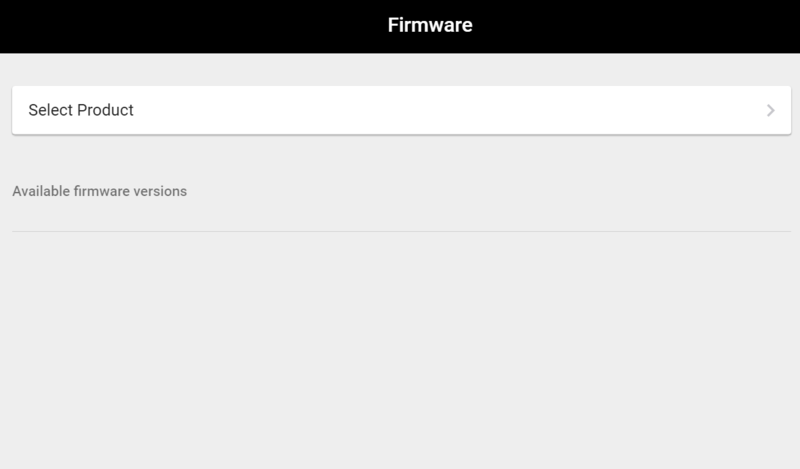 The Firmware page shows the available firmware versions.